McGaha has worked in the University System of Georgia for more than 25 years. He became president of Atlanta Metropolitan College in 2007 after serving as interim president. During his tenure at AMSC, he also served as chair of the college’s Social Sciences Division. McGaha’s career within the university system also includes serving as academic dean for the Dunwoody campus and the Alpharetta site of Georgia Perimeter College, now Perimeter College at Georgia State University. 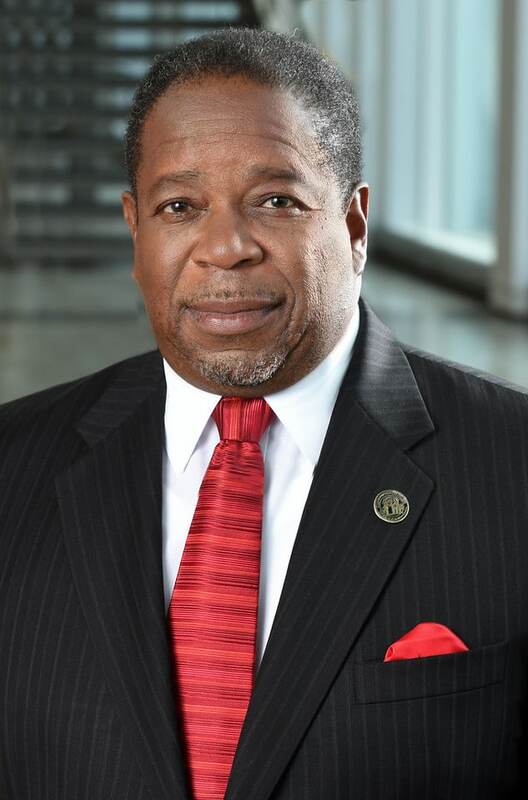 Prior to his work with the university system, McGaha served as executive assistant to the president at Kentucky State University and at Morehouse School of Medicine. McGaha holds a doctorate in political science from the University of Mississippi, a master’s degree in political science from Bowling Green State University and a bachelor’s degree in social science from Mississippi Valley State University. Lewis has more than 25 years of experience in higher education and 16 years of experience within the university system. He is currently Vice President of Student Affairs at Georgia Southern University, a position he’s held since January 2018. He moved to Georgia in 2002 to lead student diversity programming efforts at Georgia Southern and went on to serve as the institution’s dean of students for most of his initial ten years within the university system. Lewis has served in leadership and cabinet-level positions since 2012, including vice chancellor for student affairs at Indiana University Northwest before relocating back to Georgia to serve as vice president for Student Affairs at Armstrong State University. During his tenure at the University System of Georgia, Lewis completed the Millennium Leadership Institute through AASCU completed the Executive Leadership Institute and the Advanced Leadership Academy. Lewis’s early higher education experiences include admissions and multicultural affairs at Edinboro University of Pennsylvania. He has earned a BS in Business/Accounting, an MA in Counseling/Student Personnel, both from Edinboro University of Pennsylvania, and Ed.D. in Leadership from Georgia Southern University.